In a desolate reality, on that mirrors our own in frightening ways, a lone and haunting figure known only as Roland makes his way across the endless sands in pursuit of a sinister, dark-robed mystery of a man. Roland is the last of his kind, a “gunslinger” charged with protecting whatever goodness and light remains in his world—a world that “moved on” as they say…and the only way he can possibly hope to save everything is to first outwit and confront this man in black, then make him divulge his many arcane secrets. 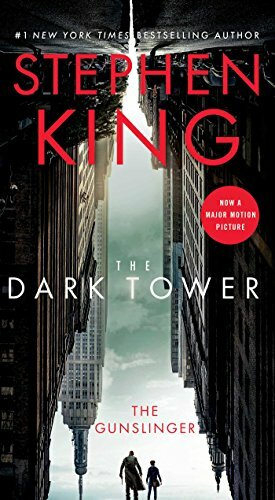 For despite the countless miles he’s already traversed, Roland knows these will merely be his initial steps on his spellbinding and soul-shattering quest to locate the mystical nexus of all worlds, all universes: the Dark Tower….